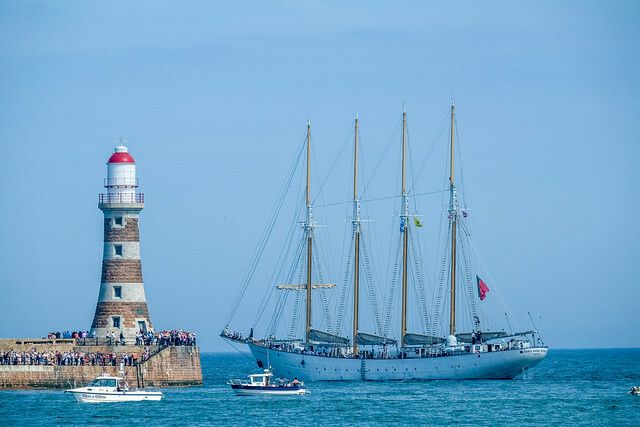 The Santa Maria Manuela leaving the Port of Sunderland as part of the Tall Ships Race 2018. The Santa Maria Manuela is a Portuguese four mast lugger. Originally a fishing ship of the Portuguese White Fleet, Santa Maria Manuela is now used as sea training and cruise ship, belonging to Grupo Jerónimo Martins. It is the sister ship of the Portuguese Navy's Creoula.